Today it is becoming more important than ever to engage and notify your staff, sub-contractors and visitors to potential hazards and requirements while on your premises. Use our posters displayed on your screens for effective communication. a division of POSTER FAKTORY. Print Posters If we have not got want what you need - talk to us. WE DESIGN & PRINT POSTERS FOR FREE! providing the poster is able to be used in our catalogue. Our posters are constantly being updated to meet current legislation requirements. We will process your order and email you an invoice for the total amount. Your posters and frames will be installed or dispatched as soon as the invoice has been paid. View the most comprehensive range of exclusive posters you will find HERE! 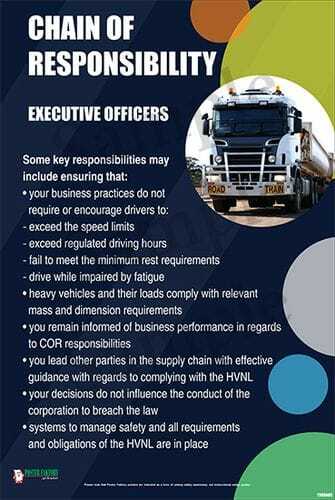 We provide a poster exchange service to industries of all types with unique eye-catching poster designs covering a wide range of Workplace Health & Safety topics. We also sell our posters. Compliment your Health & Safety programmes with our posters TODAY! Posters to meet the new legislation for both Australia and New Zealand are available here! Poster Faktory offers a design and print service for banners or special posters. These items can be printed with your company colours and logos . Promotional posters, Sale Posters. Banners, Event and advertising posters - we can do them all! For posters that are displayed outside, we print on UV-resistant stock that will not tear.